Thelma A. Whitehair, age 94 a lifetime resident of Sherrodsville, Ohio, died early Thursday morning, November 29, 2018 in the Carroll Healthcare Center at Carrollton. She was born June 4, 1924 in her current residence in Sherrodsville, Ohio and was the daughter of the late Joseph E. and Ora E. Smith Moughiman. In addition to her parents, she was preceded in death by her husband John H. Whitehair, who died December 25, 1969, a son Jim Whitehair, a daughter Diane Roudebush, four sisters Mrs. Elizabeth Hill, Laura Moughiman, Margaret Bull, and Josephine Lewis, three brothers James C. Moughiman, Emmet Moughiman, and William Moughiman, and a granddaughter, Tanya Willett, and her son-in-law Joe Walters. Thelma was an employee of the former Coultrap's Store at Tappan Lake for 14 years and was the local Ohio Deputy Registrar for many years. She was a active and faithful member of the Calvary United Methodist Church at Sherrodsville since she was 12 years of age - a remarkable total of 82 years. She was a member of the Carroll County Temple of Pythian Sisters for 68 years and sang with the barbershop chorus of "Sweet Adelines" for 20 years. 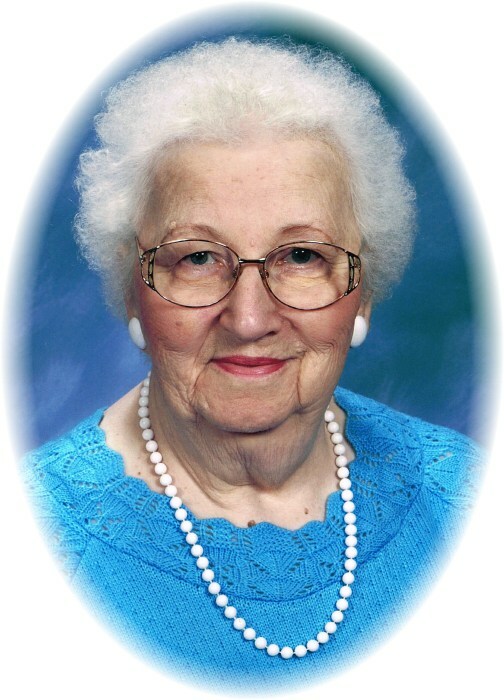 In her leisure, she enjoyed sewing and crocheting and watching her favorite baseball team, the Cleveland Indians. She was a 1942 graduate of Sherrodsville High School. She was fond of Bingo and other games during her stay at the nursing home. Thelma always found joy in the time that she spent with her family. She is survived by her five children Mrs. Karen (John) Evans of Sherrodsville, John H. (Eileen) Whitehair Jr. of Alliance, OH, Judy Walters of Sherrodsville, Jerry Whitehair of Massillon, OH, and Mark Whitehair of New Philadelphia, OH, a sister Donna Anderson of Sherrodsville, 15 grandchildren, 20 great-grandchildren, two great-great-grandchildren, and her beloved cat "Miss Kitty". Funeral services will be conducted at 11:00 A.M. Monday, December 3, 2018 in the Calvary United Methodist Church at Sherrodsville with Rev. Kenneth Ogg officiating. Interment will follow in the Sherrodsville Memorial Gardens. Calling hours will be held Sunday from 4:00 P.M. until 6:00 P.M., also at the church. The Baxter-Gardner Funeral Home at Sherrodsville is handling arrangements. The family suggests memorial contributions may be made to the Calvary United Methodist Church, P.O. Box #277, Sherrodsville, Ohio 44675 or Community Hospice, 716 Commercial Avenue S.W., New Philadelphia, Ohio 44663. To leave an online condolence message please visit the funeral home website.